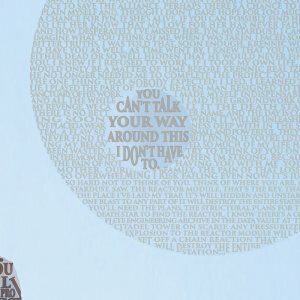 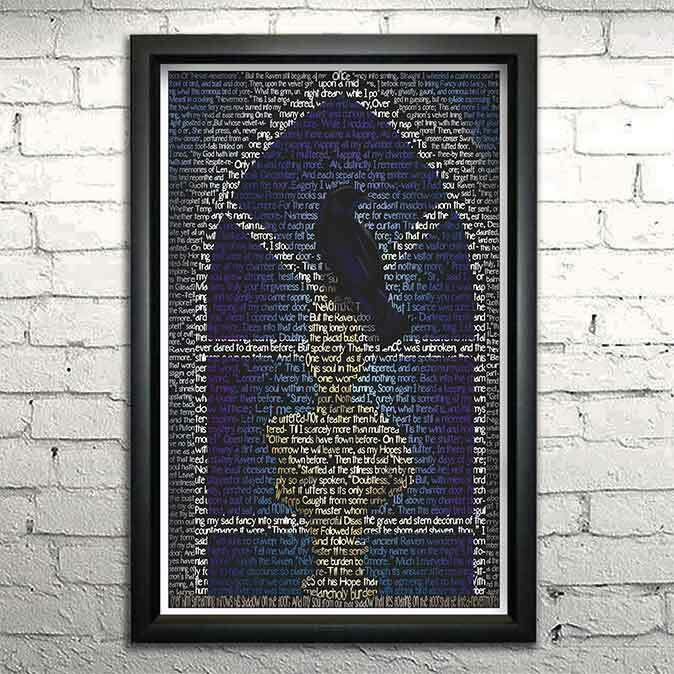 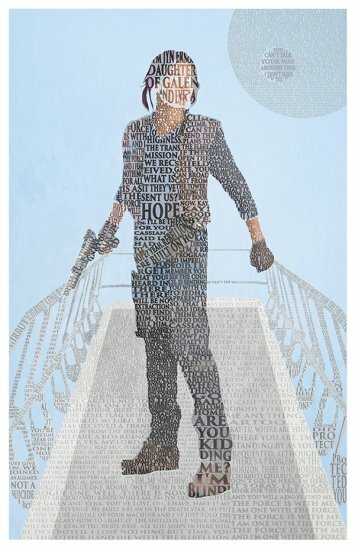 This print is made entirely out of words! 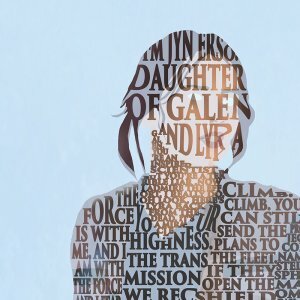 The image shows Jyn Erso standing atop Citadel Tower on Skarif. 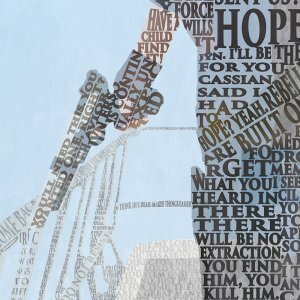 The image is made entirely of text from the movie.